Government and Food Industry to Blame for the Obesity Epidemic? You’re individually responsible for your health to an extent. But your decisions can only take you so far. A small percentage of people have health conditions that make achieving a healthy weight nearly impossible, while most can make decisions that will induce progress. But what’s easy to overlook is how society is working against you. The government and food industry, for example, make it very difficult to access quality nutrition. The food industry, particularly the sugar industry, has a lot of pull in Washington and it has a direct impact on your health and the food you eat. The reason why obesity, metabolic syndrome, type 2 diabetes, non-alcoholic fatty liver disease, and the plethora of other conditions associated with diet are so profound is the excess sugar in the American diet. 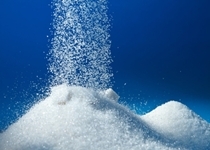 Sugar, and its cheaper alternative high-fructose corn syrup (HFCS), are largely responsible for the obesity epidemic. But taking sugar and HFCS out of the Standard American Diet isn’t so easy. For starters, it’s loaded into almost everything you eat and drink. If it’s coming from a package, you can bet there are added sugars. If you ordered it at a fast food or big-chain restaurant, the same thing; processed and packaged foods mean added sugars. So many Americans crave that sweet flavor, largely because it’s been practically force-fed to us without our knowledge. Between 1950 and 2000, for example, America’s sweet tooth rose 39% as the use of corn sweeteners octupled. Since then, portion sizes have increased and sugar has become even more readily available. In the 1930s, something called the “farm bill” was enacted to help deal with the Great Depression, the Dust Bowl, and hungry American farmers and families. It provided subsidies to farmers to produce cheap calories that could be easily stored, focusing on refined carbohydrates like corn, rice, soybeans, and corn grains. The farm bill is renewed every five years and it still encourages the same crop production, so America has sugar stockpiles all over the place. We have an excess of these calories, and over time, technology and society have progressed, providing new uses for these stockpiles—like the production of HFCS or ethanol fuel. The government is paying for a handful of farmers to overproduce this stuff and it has to be used somehow; after all, it’s been paid for! Two-thirds of the farm bill’s budget is used for food subsidy programs, which are essentially made up of fruit juices and other high-calorie, stockpiled food items. This is why we tend to see elevated obesity rates among people on programs like SNAP (the Supplemental Nutrition Assistance Program) and WIC (the supplemental nutrition program for women, infants, and children). What the government doesn’t pay for is then sold in the open market for a higher price. Unfortunately, it’s unlikely the farm bill will undergo any serious overhauls. If a politician were to change the structure of this bill, it would almost be career suicide, because powerful Midwest votes would turn away. And remember, this is part of your tax dollars at work—paying to produce sugar we don’t need to be added in excess to the food you eat. Sugar and HFCS are produced in 18 states, create 146,000 jobs, and contribute $10.0 billion to the economy each year. In other words, the industry has some serious political clout. And the food industry as a whole has even more, creating 16.5 million jobs, while consumers spend $1.0 trillion annually. Within the current landscape, healthy food simply gets overlooked and the numbers prove it. Food advertising is overwhelmingly one-sided and sometimes science is twisted in order to protect economic interests. On Friday, I’ll take a look at how the numbers are stacked against you and what you can do to take the power back. “Profiling Food Consumption in America,” United States Department of Agriculture web site; http://www.usda.gov/factbook/chapter2.pdf, last accessed February 25, 2015. Bobkoff, D., “Farm Bill’s Sugar Subsidy More Taxing Than Sweet, Critics Say,” NPR web site, March 28, 2013; http://www.npr.org/2013/03/28/175569499/farm-bills-sugar-subsidy-more-taxing-than-sweet-critics-say, last accessed February 25, 2015. Lustig, R.H., Fat Chance (New York: Penguin, 2013), 240–254.